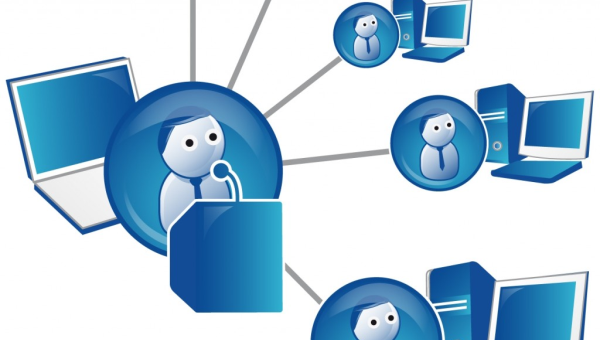 Studies have shown that webinars are an effective and cost efficient tool in reaching out to people. Small business owners and companies have recognized its importance and are now utilizing it for marketing and list building purposes. While it’s true that the most popular social media platforms are doing a great job in helping businesses market their products and services, the webinar system has its own advantage over them. For one, it generates a low cost for every lead and a high level of engagement with target audience. Secondly, it is considered the second most effective method in terms of content marketing and thirdly, it promotes greater satisfaction among students thereby contributing to a higher study success rate. 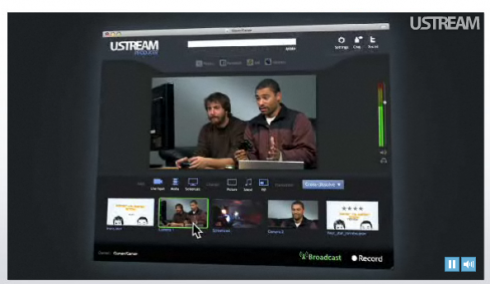 Ustream, known for its live interactive video broadcast platform has just launched a new desktop client called Ustream producer. It’s a nice tool for doing live broadcasts from your PC with high video quality and editing tools. Available for both Mac and PC, you can have the tool either as a free client or a paid one which will cost you a one-time fee of $199. Of course, that amount would give you more options and features to make your live broadcasts look more professional. If you’re into live broadcasting and you want to take this to a higher level, the $199 price tag for the Pro version seems a reasonable price. While the free version is enough to get you started with live broadcasting, the PRO version however will make your live streams even better and more appealing to your intended audience. Â The PRO version gives you additional features such as unlimited cameras, unlimited transitions, 7 encoding presets including HD and more. To give you a taste of what Ustream Producer can do, you might want to watch the live broadcasts of a new song that will be featured in the upcoming Alice in Wonderland flick. The live stream will start at 4PM tomorrow. When it comes to web broadcasting services, one of the most used that I’ve seen so far is Justiv.tv. Unfortunately, while I’ve found it a very good web app, I also find it rather complicated to use and set up. Until now, as Justin.tv just made its process of web broadcasting easier and faster. According to the Justin.tv blog, they have overhauled the web broadcasting experience to make it easier to go live on Justin.tv. Â The new process eliminates all the required configurations and setup such as resubmitting forms, fiddling with Captchas, selecting categories, uploading images, selecting cameras, adjusting bitrate and other tasks. So with the new interface, you will now be spending more time creating live video rather than doing many chores to prepare creating video. Initial assessment of the beta tests conducted on new users to Justin.tv revealed that 10% of them made it to the last step of creating web broadcasts, signifying a 700% increase from the old version prior to the launch of the new interface and simple process.Â Justin.tv now requires fewer settings which can even be skipped. And Justin.tv hopes that this could turn first-time users to become frequent live streamers. Let’s see whether this simpler process of creating a live web broadcast would actually encourage new users as well as retain old ones. If you’re in need of a tool to broadcast yourself or your friends online, you might want to check out Justin.tv again. Right now, CNET observed that the site is frequently being used by gamers. Something which keeps Justin.tv from going. If you’re in the U.S., you’re probably busy right now preparing for the New Year’s countdown. Â Either you’re on your way to Times Square to witness the annual midnight ball drop or you’re at home preferring to watch the ball drop online. If you’re at home and you have a Hulu account, you can watch it through Hulu’s live stream of Â Times Square New Year’s Eve 2010. You can even grab the embed code for the live stream and put it in your blog/site (like we did). When the live feed begins Thursday night, youâ€™ll be able to access the festivities from Huluâ€™s home page (weâ€™ll provide a direct link) or from ourÂ Spotlight; section (just click on the â€œexploreâ€ button beneath the section related to Times Square 2010 to launch a pop-out window). If you’d rather watch the ball drop online from other sites, check out Search Engine Journal’s post on some other places where you can watch the ball drop online. With that, we would like to greet you all a Happy New Year! MySpace, in cooperation with the Department of Defenseâ€™s Armed Forces Entertainment and America Supports You program, announced the launch of Operation MySpace, a landmark concert event designed to bring troops serving in Kuwait a taste of home and enable the MySpace community to show their support for troops serving overseas. On March 10, MySpace Co-Founders Tom Anderson and Chris DeWolfe, along with some of todayâ€™s most popular musical acts, will participate in a 3-hour plus MySpaceLive! concert in Kuwait that will be streamed in high definition flash video using Kulabyteâ€™s XStream Live Solutions exclusively on the official Operation MySpace profile. The MySpace community can watch the entire concert webcast starting at 11a.m. PT/ 2 p.m. ET. 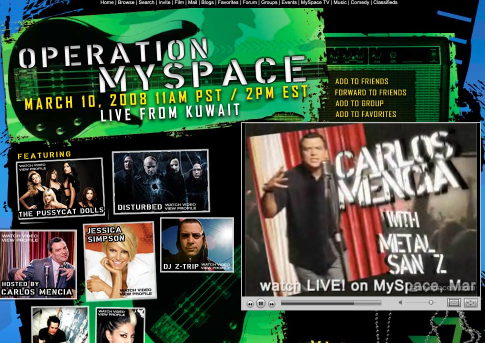 Operation MySpace will be the largest MySpaceLive! concert to date with performances by the Pussycat Dolls, Jessica Simpson, Disturbed, Filter, DJ Z-Trip and Carlos Mencia. Starting today, the Operation MySpace profile (http://myspace.com/operationmyspace) will serve as a communication hub where troopsâ€™ families and friends, along with the entire MySpace community, can post videos and messages of support via a video blog section. The profile will also feature a scrolling ticker of goodwill messages uploaded to the community during the live stream. A condensed 1-hour version of the show, featuring the best and most stirring moments, will be nationally broadcast on FX on April 12.